Hikers, start your engines! The brand new Great Eastern Trail (GET) is coming soon. 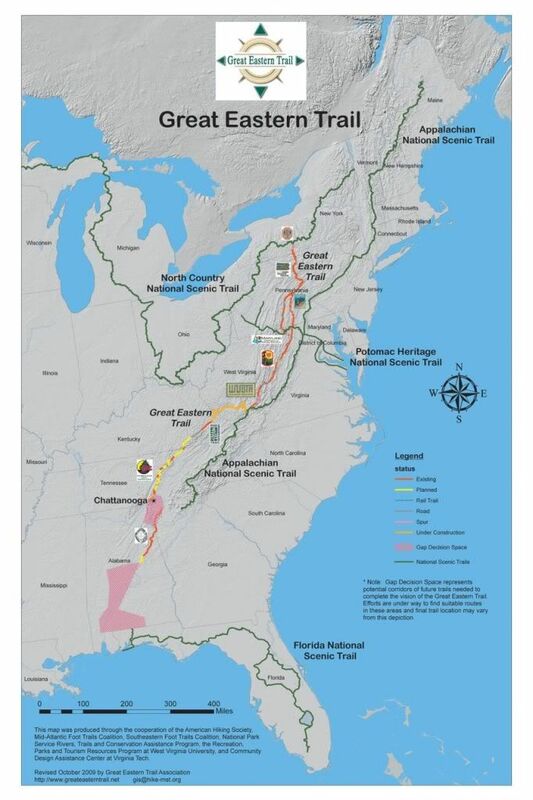 The Great Eastern Trail Association, working with American Hiking Society and local trail partners, is creating America’s newest long distance hiking trail: 1800 miles that cross 9 states from Alabama to the Finger Lakes Trail in New York. If you want to help blaze that trail, volunteer opportunities abound. Check it out and see what’s coming!